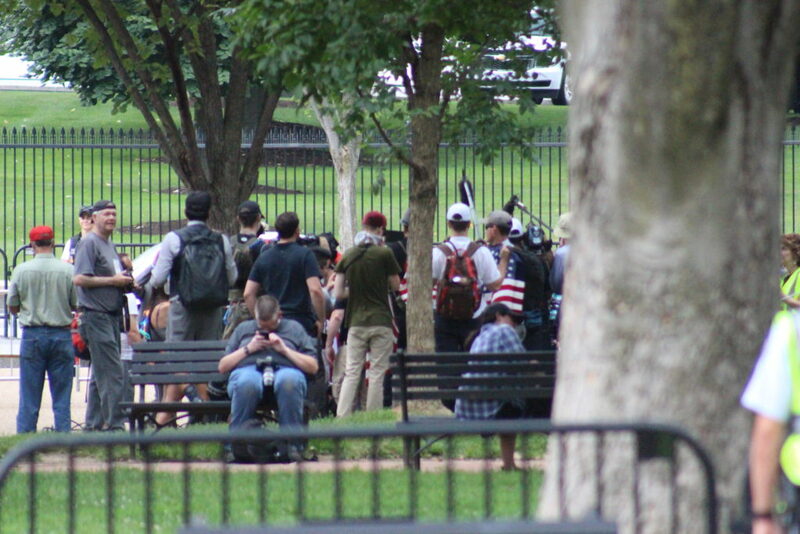 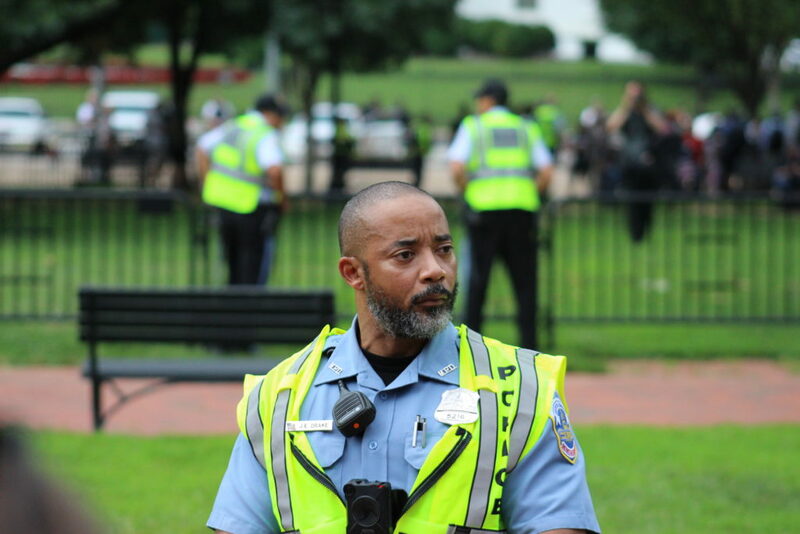 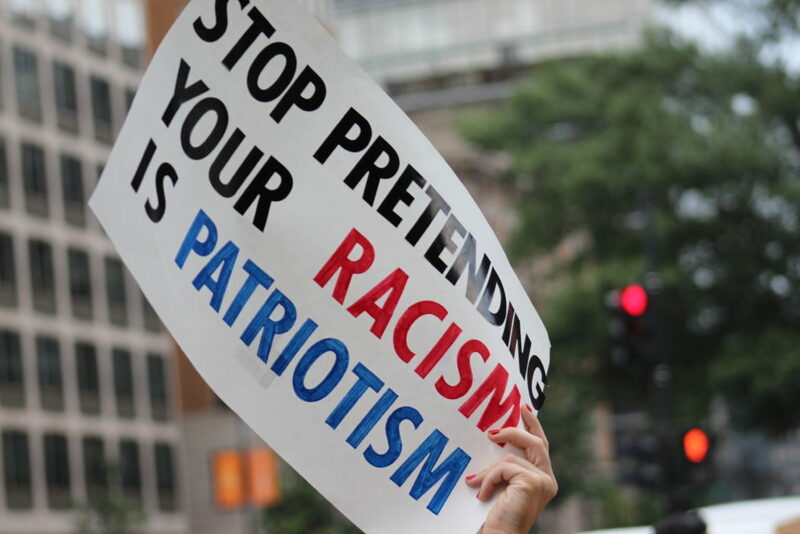 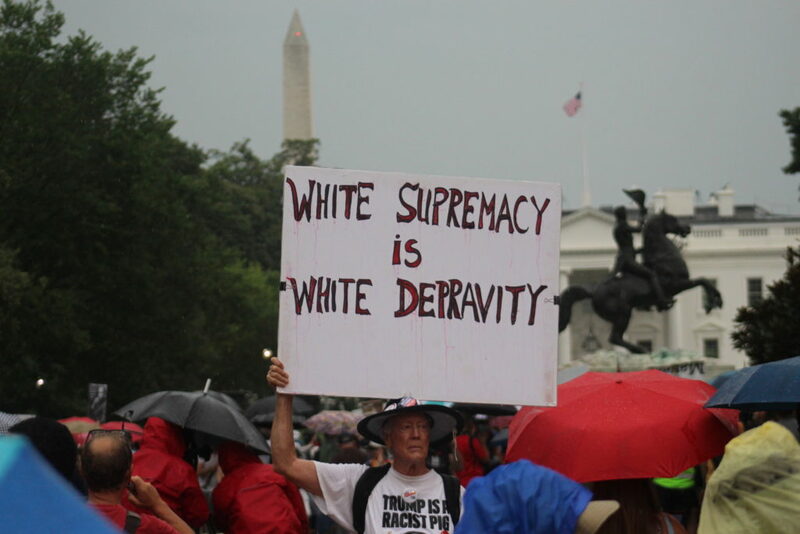 WASHINGTON — A group of about 30 white nationalists marched to a park near the White House Sunday for what they called a rally in favor of white civil rights. 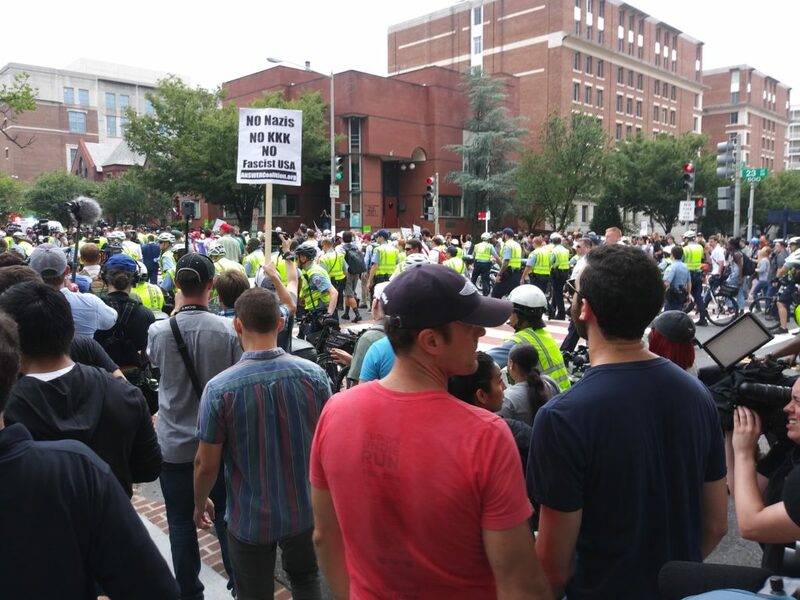 Thousands of counterprotesters were in the area, too, and jeered and heckled the white nationalists as they made their way down the street surrounded by police. 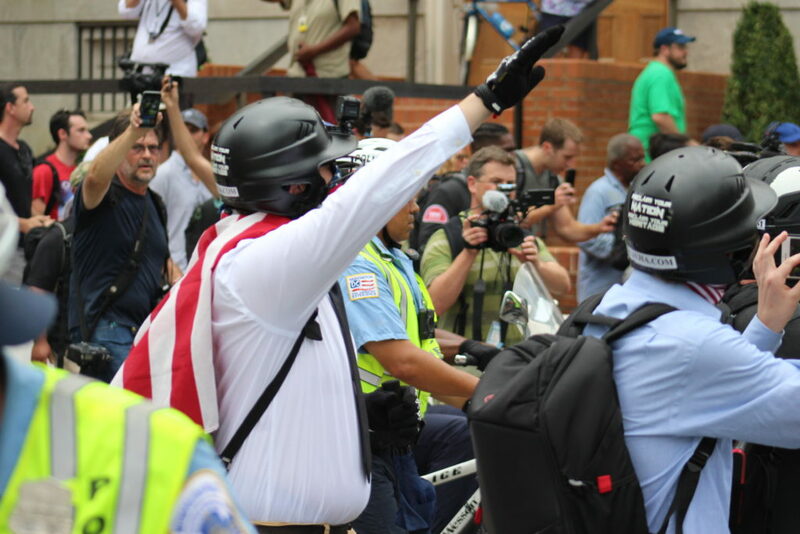 The demonstration and counterdemonstration come on the anniversary of last year’s deadly gathering of neo-Nazis, skinheads, Ku Klux Klan members, and others in Charlottesville, Virginia. 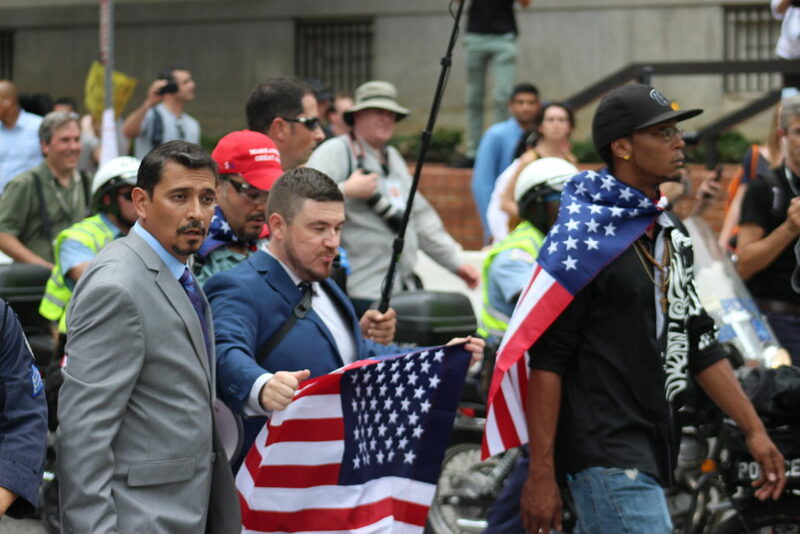 Sunday’s gathering was led by the principal organizer of last year’s “Unite the Right” event, Jason Kessler, who called the demonstration a rally for white civil rights. 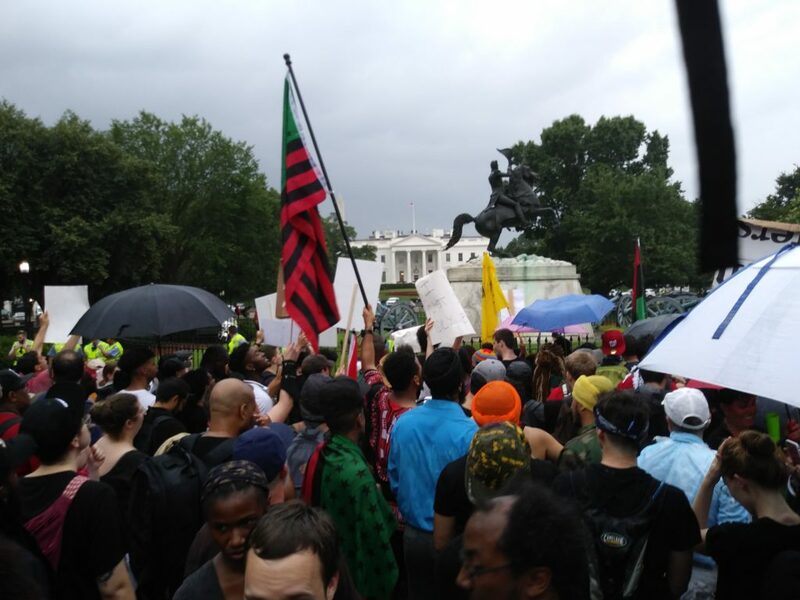 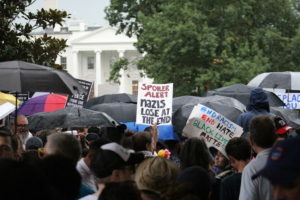 More than 1,000 protesters gathered in Freedom Plaza near the White House earlier in the day to rally against the white nationalist demonstration scheduled for later. 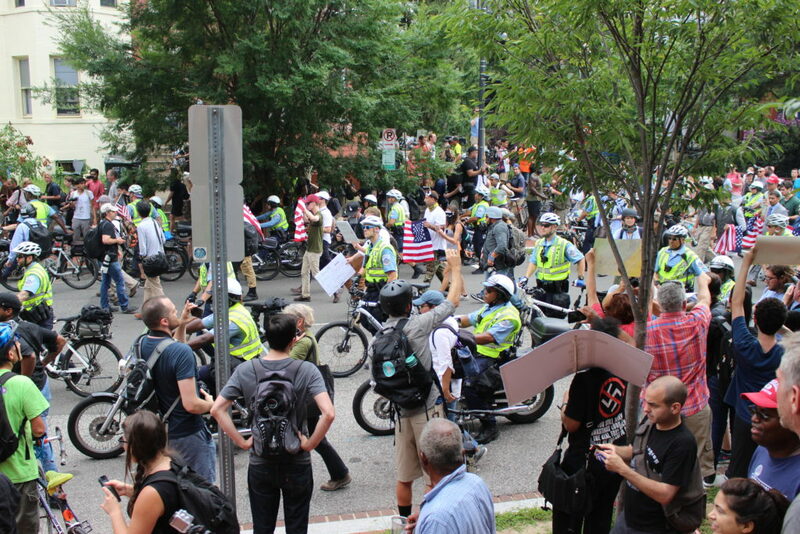 Police erected a maze of barricades to keep the two sides apart. 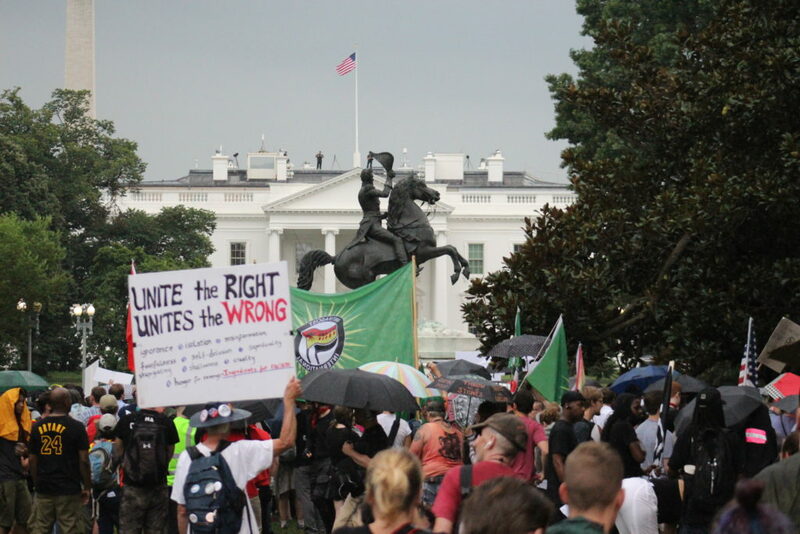 See below for more photos from Washington, D.C., today.